Urban water efficiency is as important as ever. With more severe weather events such as droughts occurring more regularly, there is less and less water supply security. Plus with cities growing at a rapid pace there are more people demanding water and relying upon the municipal water supply. So if there are more people and less secure water supplies what can we do? To help conserve water we need to reduce the average water usage per person. If every household pitches in we can save a lot of water and improve our water security. Below are Aussie Natural’s top tips to reduce water use in the home, kitchen, bathroom and garden! Let’s start with the house in general. Plumbing leaks can account for a lot of water use. If you have old plumbing and notice a sudden increased water for no reason or water use whilst away on holiday you might have a plumbing leak. If you suspect you have a water leak you should get a plumber in to check your pipes. Fixing a leak saves valuable water and stops you paying for water you don’t use. Underground irrigation is a great way to save water and get the most from your water. Underground irrigation gets water straight to the source, the roots of your plants and lawn. Timers can also be fitted to ensure watering isn’t run for too long. 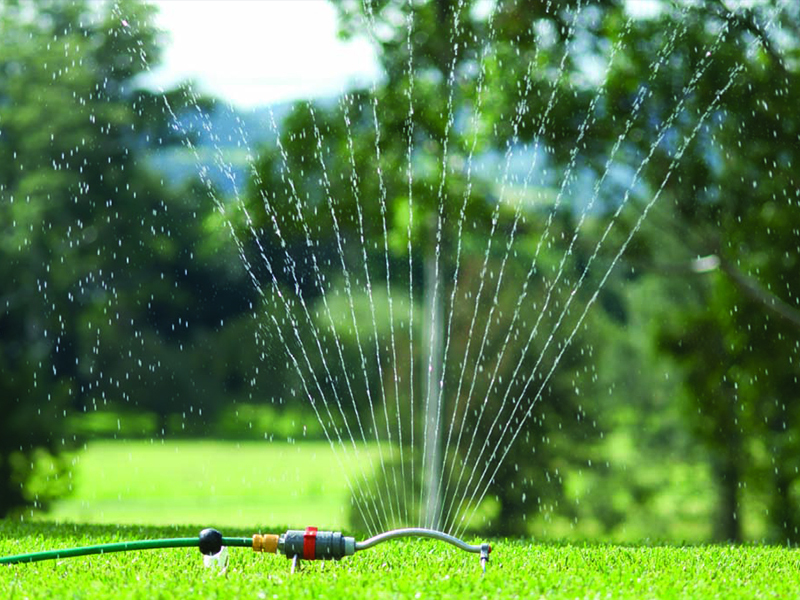 Also timers ensure watering occurs at the best time, early morning and early evening, so water isn’t lost to evaporation from the heat of the sun. If you can’t install irrigation systems in your garden consider using a watering can or low flow hose fitting to water plants and the lawn. Taking baths is less water efficient than taking showers unless you are having a really long shower. Fitting a water saving shower head to your shower will also help your water efficiency and allow you to have a great shower while using less water. Toilets should be dual flush and low flow. Though some models in some houses do not put enough water down to clear plumbing. If plumbing problems occur simply always use the higher flush level. You’ll still be saving water compared to older models. Moving on to the kitchen but sticking with leaks, make sure you fix leaking washers. A dripping tap can waste a lot of water unnecessarily, again your money is just going down the drain. If you use a dishwasher try ensure the machine is as water efficient as possible. Consider replacing old model dishwashers with newer more efficient models. When purchasing a new machine ensure you purchase with water efficiency in mind and pay attention to the water efficiency rating stickers on the machine front. Another cost effective and efficient way to save water around the house is to invest in a water cooler! When you want a cool drink of water on a hot day, it’s such an easy way to get instantly cool water, that way you won’t be tempted to wait for your kitchen tap to cool off and waste all that water down the drain. Perfect for the home, Aussie Natural’s water coolers and dispensers are easy to use and take up no more than one square foot of floor space. That’s about the same amount of floor space as one bag of shopping! Rent a water cooler from us at Aussie Natural and you are guaranteed to be looked after in the proper W.A way. Do you know other people that would benefit from these tips ? Would you like to get up to 20% of all Aussie Natural water purchases for the rest of your life? All you have to do is “let it flow”… join our cooler referral offer and tell your friends about Aussie Natural and you’ll reap the benefits!